The MTI application forms are available to download below in Portable Document Format (.pdf). For potential Employment Sponsors who wish to apply to the Academy of Medical Royal Colleges for a Tier 5 Certificate of Sponsorship, please fill out the Medical Training Initiative Application Form. 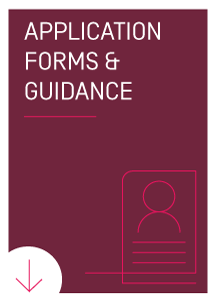 We also recommend you look over the MTI Explanatory Notes document to guide you through the application process. For Trusts who have doctors set to arrive in the UK and take up post shortly, please remember to complete the MTI Starters Report. This is to be filled out and sent to the Academy along with a verified copy of the doctor’s Biometric Residence Permit 5 days of the doctor’s first day of employment. Failure to return this form could result in the Academy withdrawing the Certificate of Sponsorship. It will be assumed that the doctor did not travel to the UK. It is also the responsibility of the Trust to report any exceptions to the doctor’s employment terms and conditions to the Academy. These are listed on the Exception Reporting Form. This form is to be filled out and sent to the Academy if any exceptions are to occur. Download application forms and guidance below.